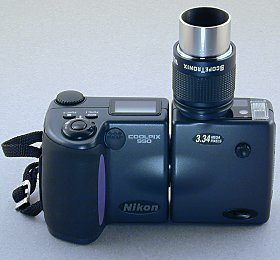 In afocal coupling the Nikon Coolpix 990 is aimed into the telescope eyepiece. 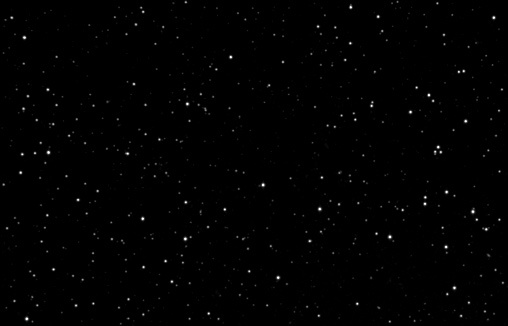 Aiming the camera can be by hand holding the camera, mounting the camera on a tripod next to the telescope eyepiece, building or buying an adapter to hold the camera over the eyepiece, using an universal camera adapter to attach to the camera lens or using a eyepiece with built in adapter to attach directly to the digital camera. 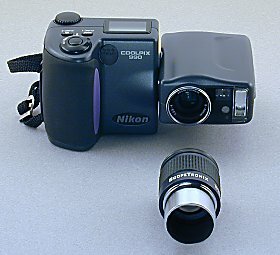 The Nikon Coolpix 990 has 28mm lens threads mounted on the camera body and the following eyepieces have 28mm threads that attach directly to the Nikon Coolpix 990. 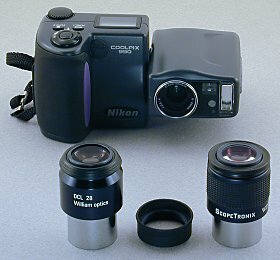 To attach the ScopeTronix, Inc. STWA18 Wide Angle 18mm Eyepiece/Adapter remove the eyepiece rubber eyegard by unscrewing it and then screw the eyepiece on to the Nikon 990. 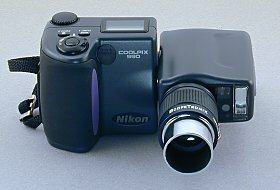 The Nikon Coolpix 990 camera swivel design is very convent for using it on the telescope. 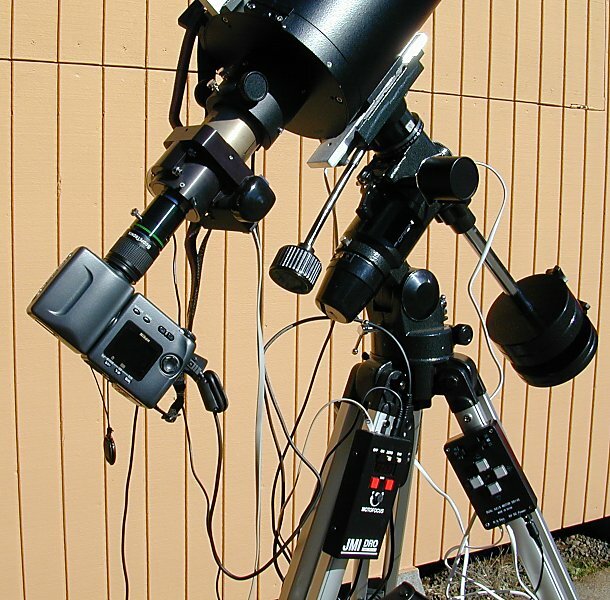 The Nikon Coolpix 990 with the ScopeTronix, Inc. STWA18 Wide Angle 18mm Eyepiece/Adapter is attached to Orion Argonaut 150mm Maksutov-Cassegrain Telescope. A JMI NGF-S Motofocus with DRO (Digital Read Out) is real helpful in focusing.